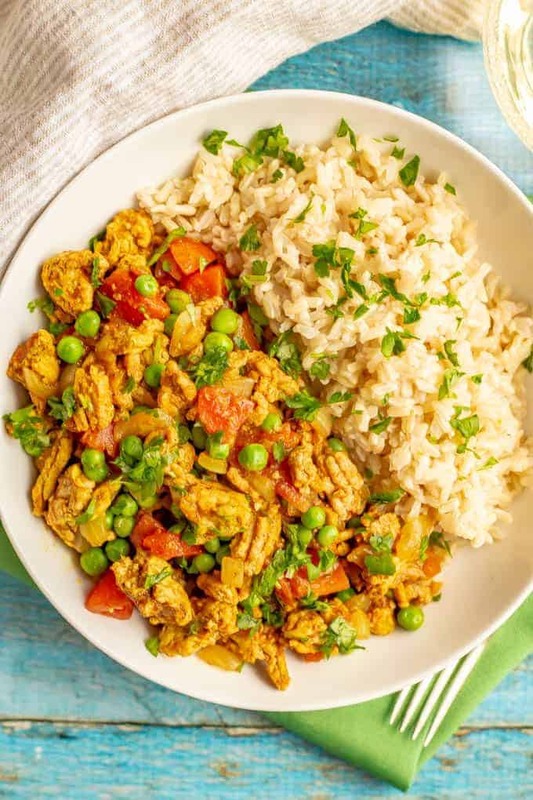 Curry ground turkey with rice and peas is full of warm, rich flavors but is super quick and easy to make! This 20-minute recipe is great for a weeknight dinner! My husband’s uncle passed away a few months ago and we gathered family from far and wide to celebrate his life. I’m coming back to a ridiculously busy week, however, and I’ve got all kinds of unpacking and grocery shopping and household stuff to catch up on after being gone for the weekend. Eek! Enter the need for some simple dinners that I can make with my eyes closed. So, you guys know I love me some curry recipes. 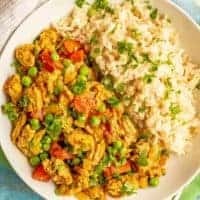 I’ve shared my quick chicken curry, quick and easy vegetarian curry and my 20-minute coconut chicken curry. And I’m happy to be bringing you another favorite today! 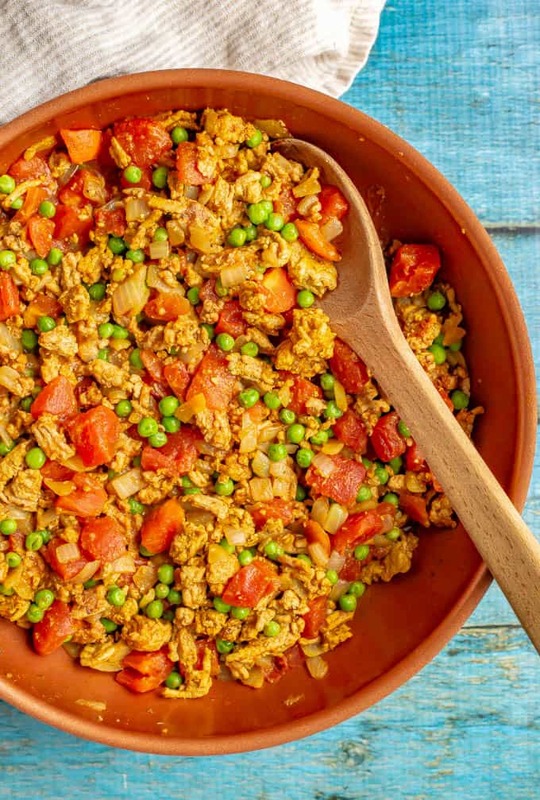 So, the flavor is what made me fall in love with this curry ground turkey recipe. It’s warm, rich and has so much depth from all the great spices that go into it. 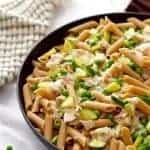 And the sweet green peas add both a pop of color and a hint of sweetness to balance out this recipe. But y’all, I have to admit, I also really love how easy this is! 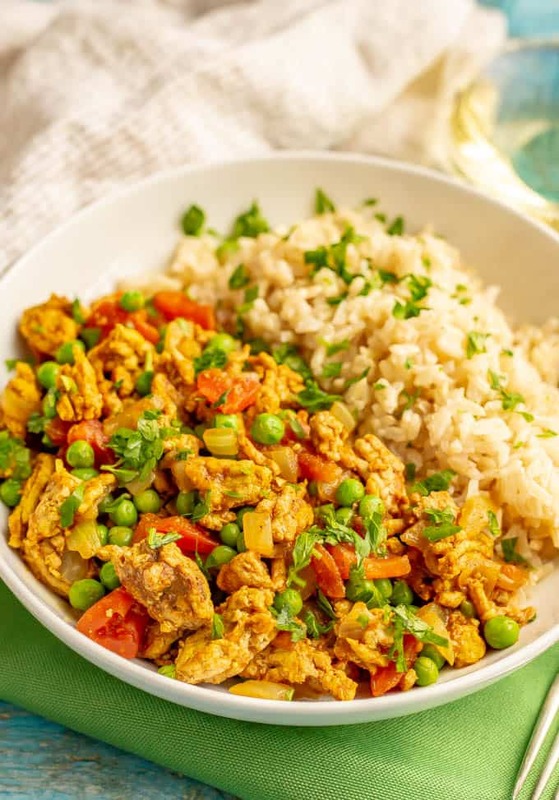 I’m always looking for new easy ground turkey recipes and this one is on the regular rotation because it’s so simple to throw together. Great for those nights when you’re just not feeling it. 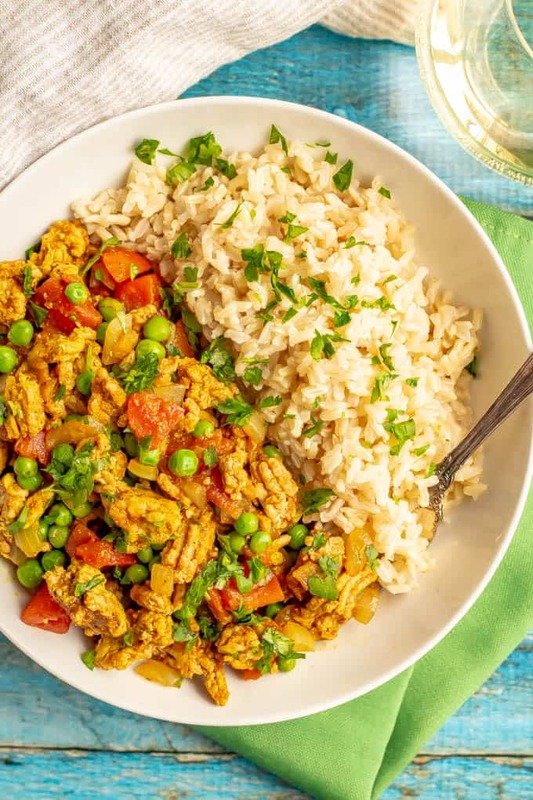 I use a 93% lean ground turkey for this recipe. You can use whichever kind you prefer, just drain off any excess grease in the pan if you have some. 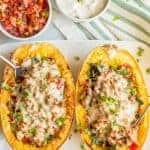 You could probably also substitute ground beef, pork, lamb or chicken in this recipe, though I haven’t tried it like that yet. Either curry powder or Garam masala will work in this recipe. I’ve tried both and loved it both ways. Also, just a note that you’ll want to get your rice cooked and prepped separately. I left that out of the instructions because it depends on what you choose. And there are plenty of options depending on your tastes – or what’s in your pantry! What rice should I serve this with? 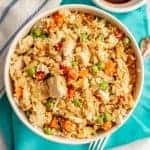 – We love steamed brown rice in my house and that’s what I always have on hand. 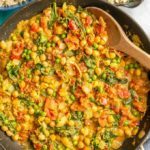 – This would also work with regular white rice as well as basmati rice. 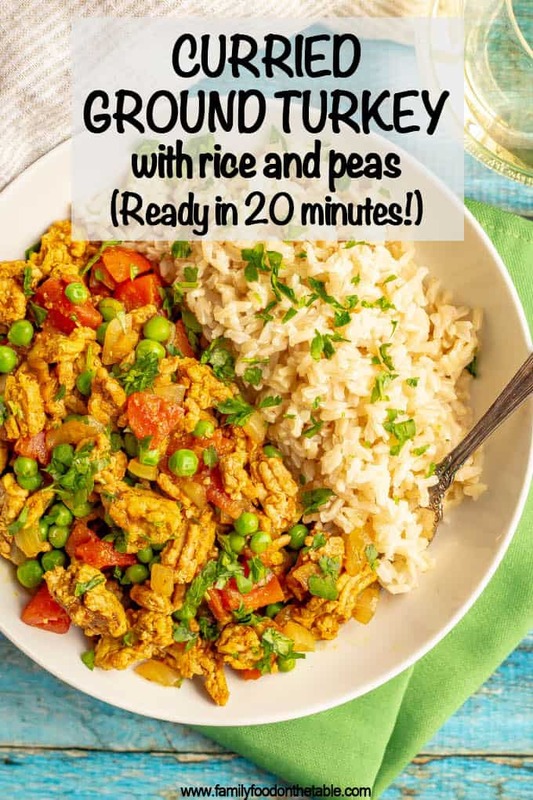 – It’s also great with easy cauliflower rice for a low-carb option. I hope you give this a try the next time you need a super flavorful but also really quick and easy dinner! P.S. You can check out all of my turkey recipes for more cooking inspiration! 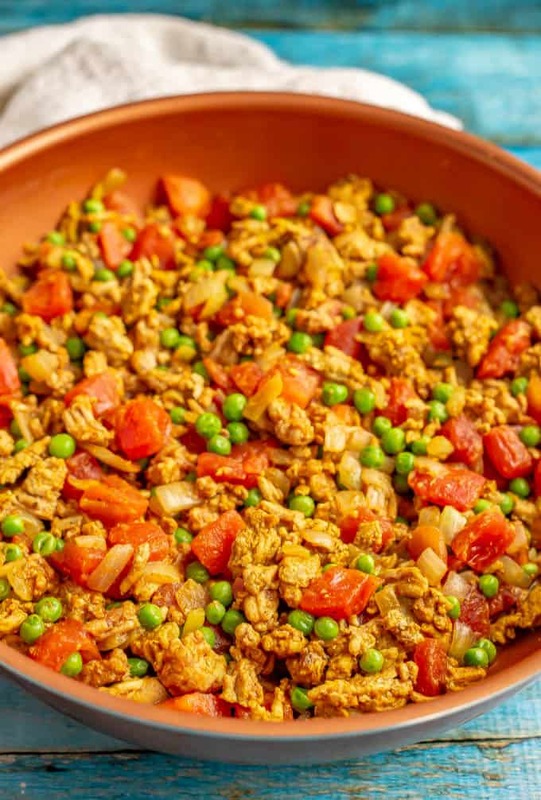 Curry ground turkey with rice and peas is full of warm, rich flavors but is super quick and easy to make! Add onion and sauté for 4-5 minutes, until softened. Add garlic and cook another minute. Add ground turkey the pan and and cook until browned through, about 7-8 minutes. Add the curry, cumin, coriander, salt, turmeric and ginger and stir well to combine. Stir in the tomatoes and peas until warmed through, 2-3 minutes. 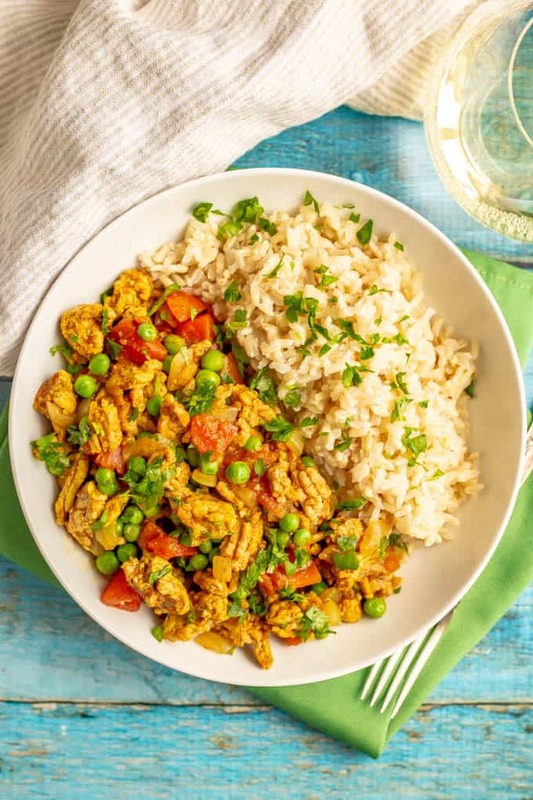 Serve the curried turkey and peas over steamed rice. Sprinkle with fresh parsley or cilantro and enjoy! 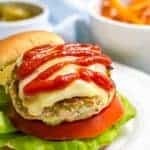 I use a 93% lean ground turkey for this recipe. You can use whichever kind you prefer, just drain off any excess grease. 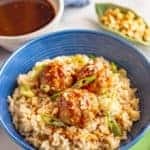 You could probably also substitute ground beef, pork, lamb or chicken in this recipe, though I haven’t tried it like that yet. Want to add a spicy kick? Chop a jalapeño or red chili pepper and sauté it along with the onion. Or you could add 1/4 teaspoon red pepper flakes with the other spices to give it some heat. Also, just a note that you’ll want to get your rice cooked and prepped separately. Brown rice, white rice, basmati rice and even cauliflower rice are all good serving options.